Gauhati High Court Admit Card 2019: Below are the admit cards published by Gauhati High Court - Gauhati High Court / ghcrecruitment.in. The recent Admit Card issued for the recruitment drive is Grade-IV Admit Card 2019. Gauhati High Court Grade-IV Admit Card 2019: Gauhati High Court has issued the Admit Card on 05 Apr 2019 for the exam. 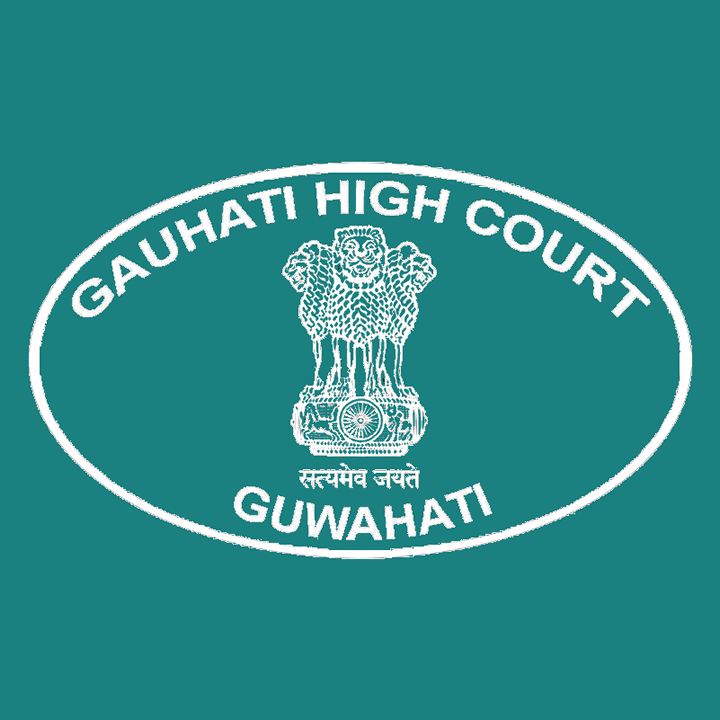 Gauhati High Court Judicial Assistant Admit Card 2019: Gauhati High Court has issued the Admit Card on 16 Mar 2019 for Gauhati High Court Judicial Assistant Exam 2019. Gauhati High Court Private Secretary and Senior Personal Assistant Admit Card 2019: Gauhati High Court has issued the Admit Card on 20 Feb 2019 for the exam. Gauhati High Court Interview/viva-voce for Direct Recruitment to Grade-iii of Assam Judicial Service Admit Card: Gauhati High Court has issued the Admit Card on 28 Jan 2019 for Assam Judicial Service Interview/viva-voce 2019. Gauhati High Court LDA/ Copyist/ Typist Admit Card 2019: Gauhati High Court has issued the Admit Card on 24 Jan 2019 for Gauhati High Court LDA/ Copyist/ Typist Exam 2019. Gauhati High Court Grade III Admit Card 2019: Gauhati High Court has issued the Admit Card on 24 Jan 2019 for Gauhati High Court Grade III Exam 2019. Gauhati High Court Grade III Main Exam Admit Card 2018: Gauhati High Court has issued the Admit Card on 28 Nov 2018 for Gauhati High Court Grade III Main Exam 2018. Gauhati High Court Grade-III of Assam Judicial Service Main Written Exam Admit Card 2018: Gauhati High Court has issued the Admit Card on 19 Nov 2018 for Gauhati High Court Grade-III of Assam Judicial Service Exam- 2018. Gauhati High Court Programmer Admit Card 2018: Gauhati High Court has issued the Admit Card on 16 Nov 2018 for Gauhati High Court Programmer Exam 2018. Gauhati High Court Grade III Prelims Admit Card 2018: Gauhati High Court has issued the Admit Card on 30 Oct 2018 for the exam. Gauhati High Court Computer Assistant Admit Card 2018: Gauhati High Court has issued the Admit Card on 05 Oct 2018 for Computer Assistant Exam 2018. Gauhati High Court Driver Admit Card 2018: Gauhati High Court has issued the Admit Card on 04 Oct 2018 for the exam. Gauhati High Court Stenographer Admit Card 2018 (Grade I, II and III): Gauhati High Court has issued the Admit Card on 24 Sep 2018 for Stenographer (Grade I, II and III) Exam 2018. Gauhati High Court Grade-I of Assam Judicial Service Pre Exam Admit Card 2018: Gauhati High Court has issued the Admit Card on 24 Sep 2018 for Grade-I of Assam Judicial Service Pre Exam 2018. Gauhati High Court Administrative Officer & Computer Operator Admit Card 2018: Gauhati High Court has issued the Admit Card on 10 Sep 2018 for Administrative Officer & Computer Operator Exam 2018. Gauhati High Court Technical Assistant Admit Card 2018: Gauhati High Court has issued the Admit Card on 03 Sep 2018 for Technical Assistant Exam 2018. Gauhati High Court Grade III Admit Card 2018 (Assam Judicial Service): Gauhati High Court has issued the Admit Card on 24 Aug 2018 for Grade III Exam 2018. Gauhati High Court Accounts Officer/ Accountant Admit Card 2018: Gauhati High Court has issued the Admit Card on 16 Aug 2018 for Accounts Officer/ Accountant Exam 2018. Gauhati High Court Court Attendant Admit Card 2018: Gauhati High Court has issued the Admit Card on 25 Jul 2018 for Court Attendant Examination 2018.